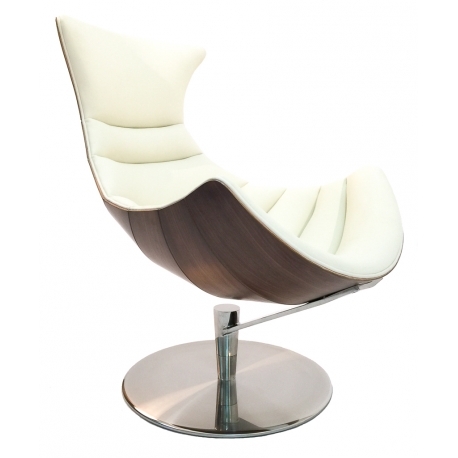 MOI-MOI lounge chair, as shown, beige top grain leather with a walnut veneer back and a stainless steel base. The product is available in black or can be customised into other colours. For more details, please contact us or visit our showroom.